NOW WITH ONLINE AUDIO DEMOSTRATIONS, INSTRUCTIONS, AND BONUS MATERIAL! 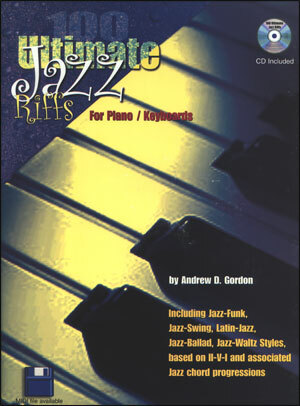 A "must have" for all pianists seeking a creative approach to developing left and right hand coordination. 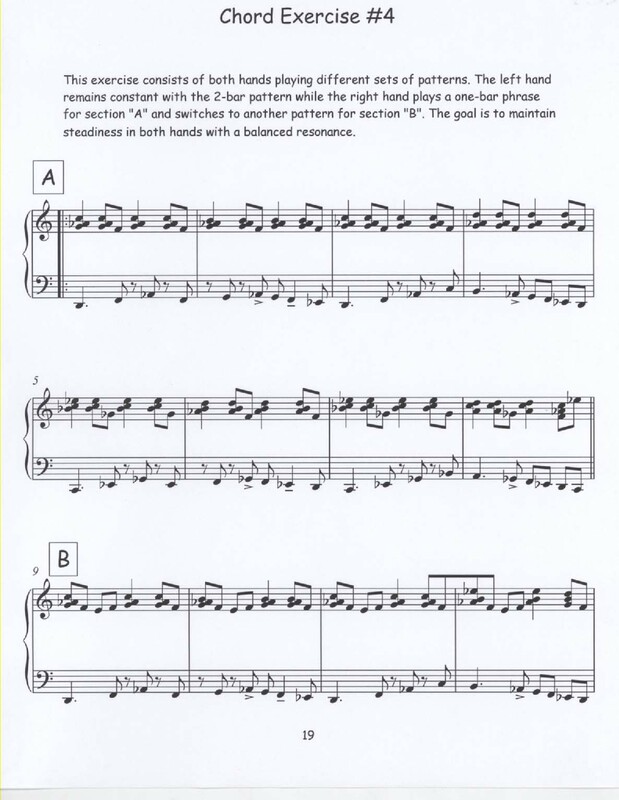 The exercises and solos (based on the chord changes to well-known standards) are rhythmic, colorful, and fun to play. 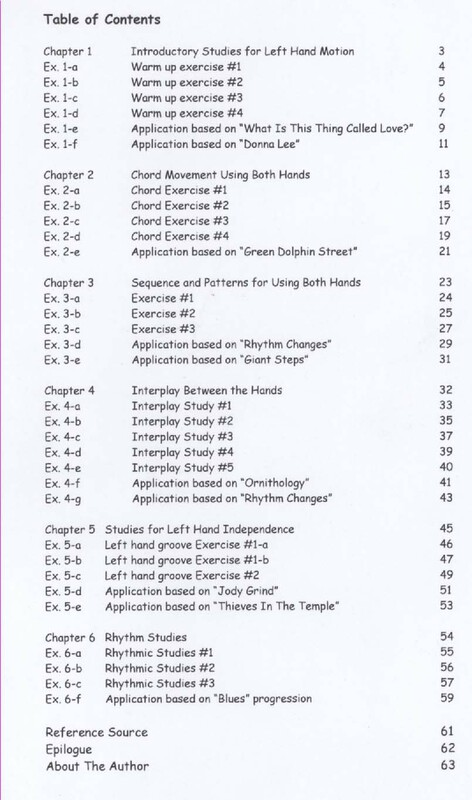 The chapters cover six specific areas of left hand development and left/right hand integration, with practical application from standard jazz tunes in the form of musical solo piano pieces. This book will definitely be an essential part of your practice routine. Besides improving your hand coordination, it will challenge you to think differently about it. All of the concepts are easily applicable to the "real world." Highly endorsed! 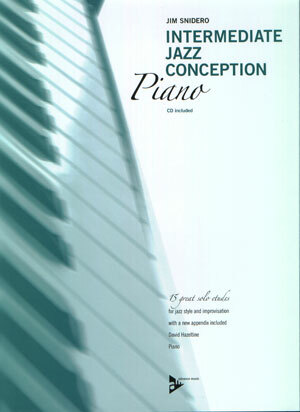 "Pianist Emiko Hayashi has written a very comprehensive, challenging yet very accessible method book. 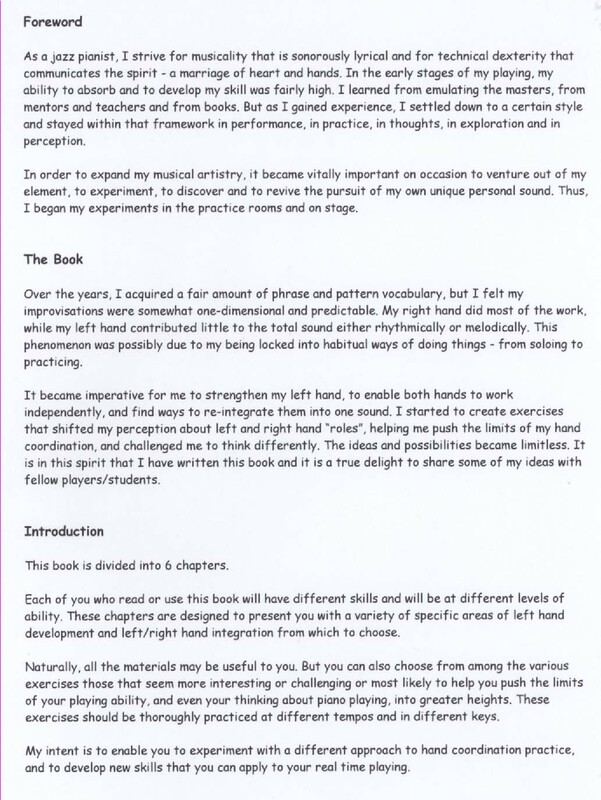 With exercises designed for left hand alone and exercises designed to develop interplay between the hands, I wholeheartedly recommend this book. I've already started practicing!" 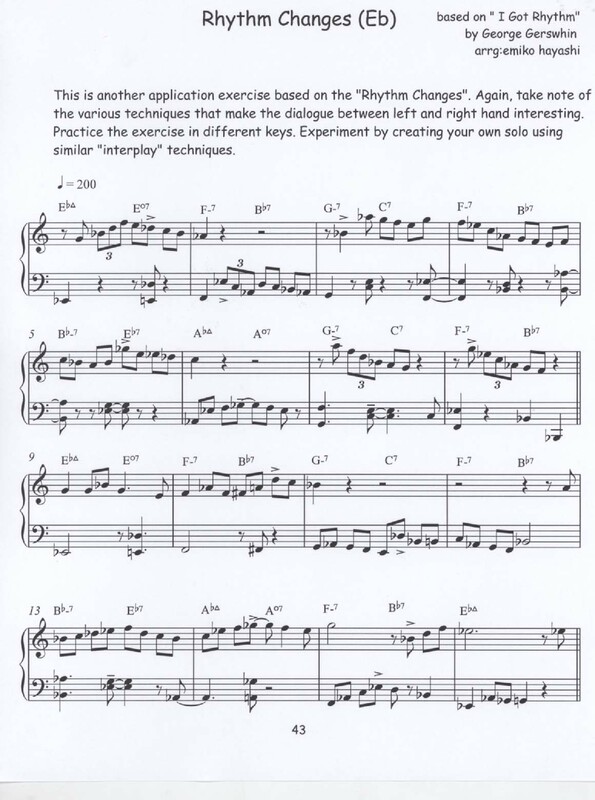 "In Etudes for Jazz Piano Emiko Hayashi illuminates a challenge that faces scores of jazz pianists at all levels; that of integrating the left hand in improvisation in a meaningful way, not only as an accompanist, but as an integral part of the whole. 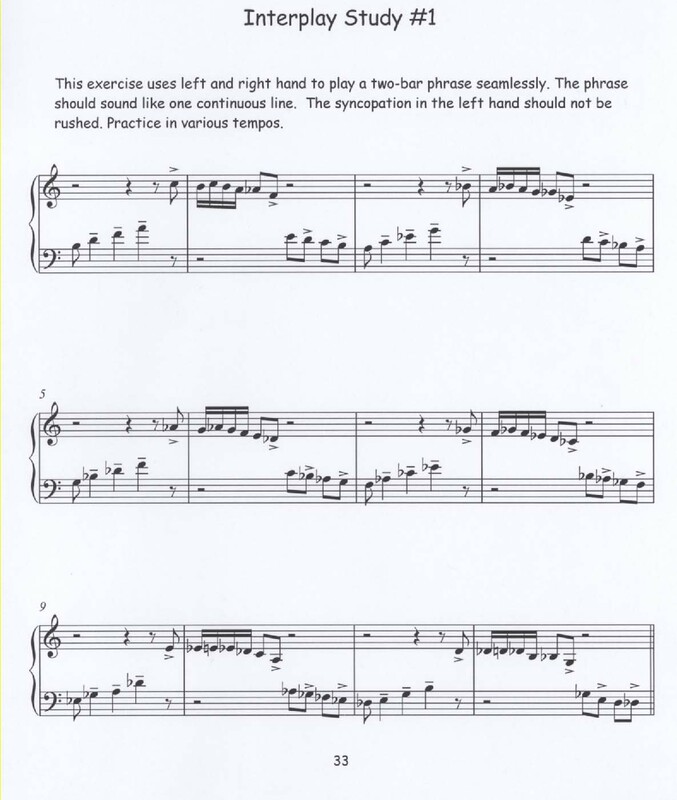 By taking various jazz standards and creating etudes specifically for the left hand as well as for developing coordination and the conversational aspects between the left and right hands, Ms. Hayashi illustrates many possibilities for expanding oneï¿½s technical and expressive range. 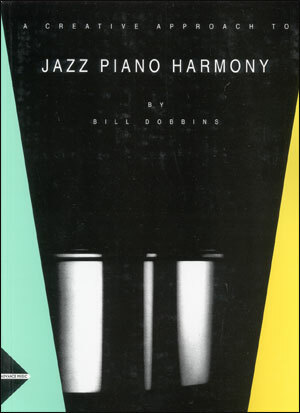 I would think this set of etudes would be extremely useful to jazz pianists at any stage of development since the obvious outcome of the study will improve oneï¿½s ability to play melodically and expressively throughout the keyboard, without regard to the traditional roles of the left and right hands." 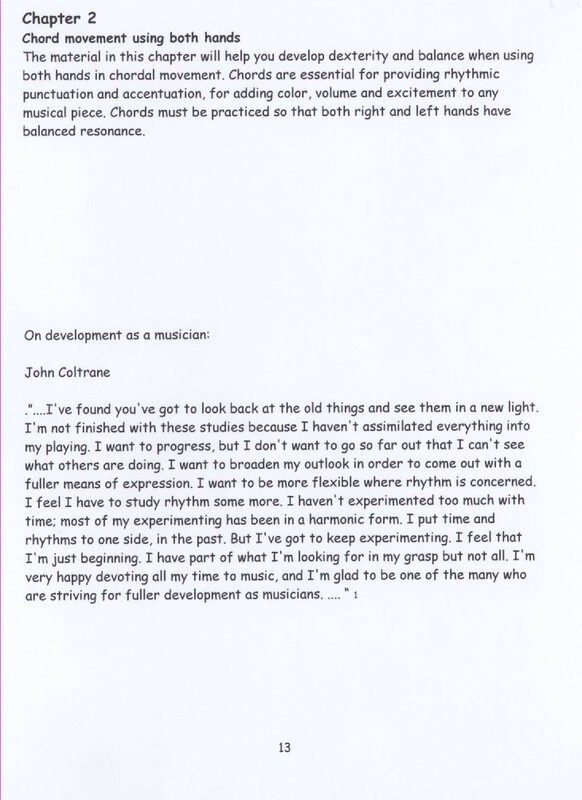 "It is understood that all musicians must play piano. 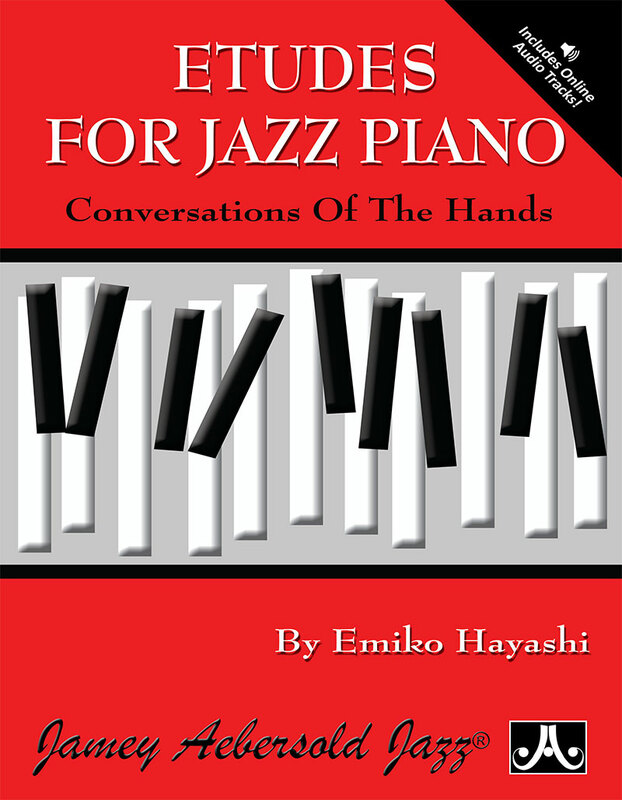 Emiko's book fills a void for non-pianists addressing specific technical problems which will help towards being able to use the piano to improve and enlarge one's playing and composing, no matter what instrument you play. This is a hands-on book directed towards immediate results."